Politicians have a considerable influence on the attitudes and behaviour of the public. We are affected by the way in which politicians view knowledge, science and the role of science in society. An active dialogue between politicians and researchers is important. 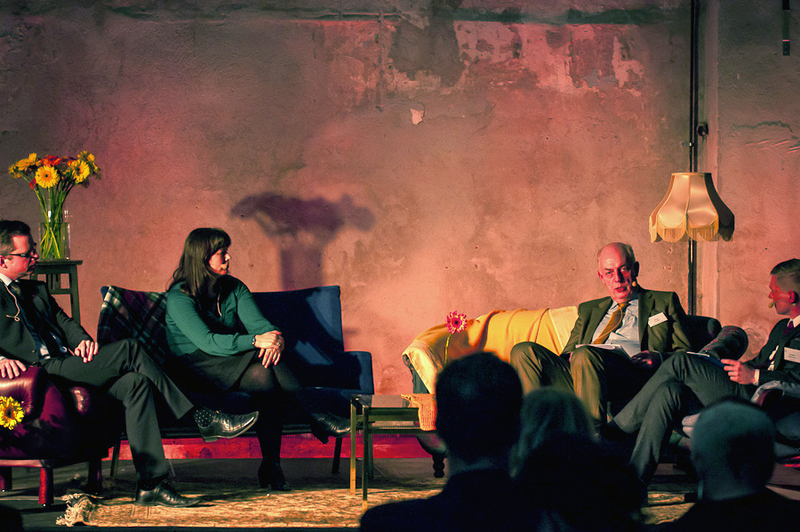 Politicians Mikael Damberg (S), Åsa Romson (MP) and Peter Honeth (FP) in a panel discussion at VA’s 10-year anniversary 2012. We have therefore conducted a survey in four parts on how politicians relate to science: an interview survey of Members of Parliament and municipal-level politicians and their attitudes towards and opinions of science and researchers (2006:2), an analysis of the science-related content of the political parties’ own journals (2006:3), a book in which politicians and researchers develop their own view of inherent relationships (2006:4, Kunskapsbiten), and a literature study (2006:6). The interview survey included a special sample of members of the Stockholm City Council (described in 2006:7). The results were also presented and discussed at seminars during the annual Swedish Almedalen Week for politicians in 2006 and 2007. The summaries of these seminars are in Swedish.